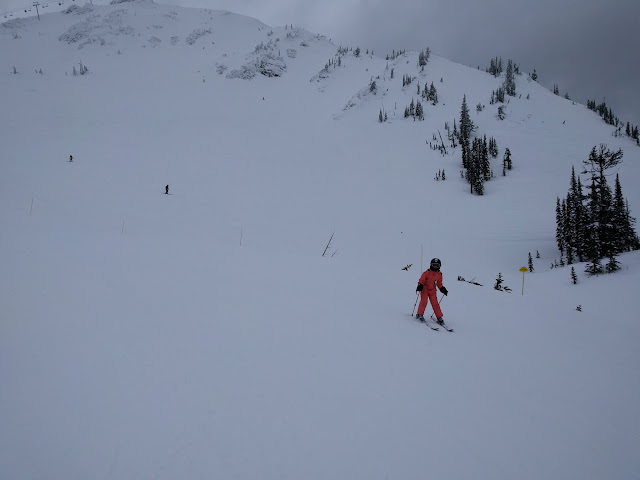 With time for a couple more runs, my son wanted to ski through the tunnels on "Holo Hike" again. And that's only a few runs that we wanted to do one more time before we headed home! My son wanted to ski the trees off the Deer Chair one last time, I wanted to take him down the main run off Elk to play in the trees there, and I hadn't been up the White Pass Chair yet for the day. Fernie is the hill that we never want to leave. 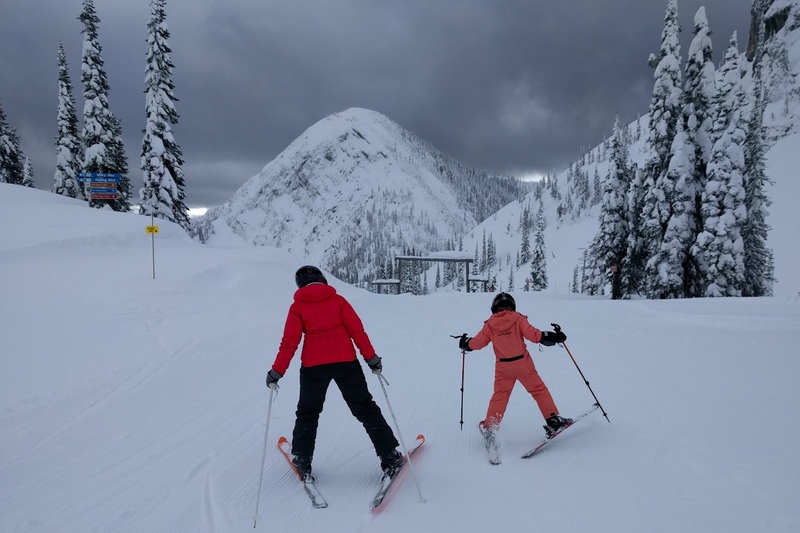 It's the resort that always begs us to stay just a little longer, and that almost makes us think we should buy season passes next year, making the trek down into BC at least once a month. 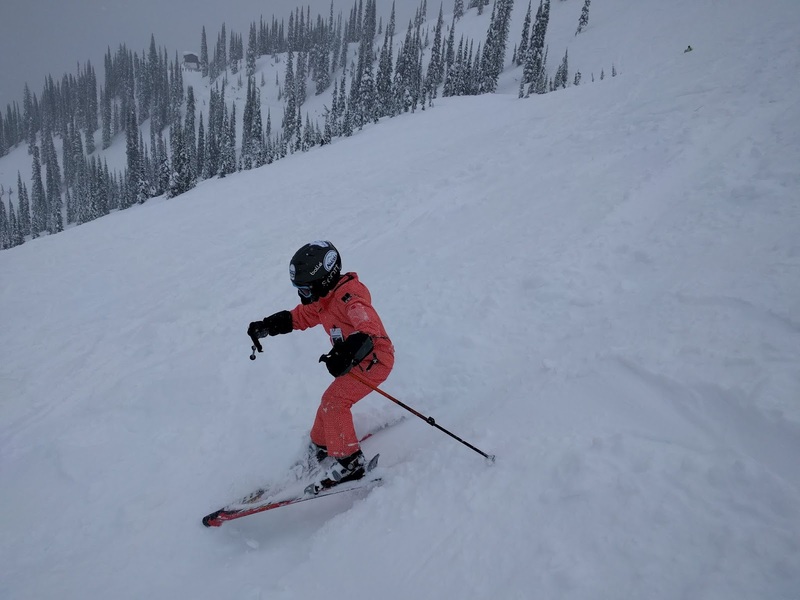 This kid would be a crazy awesome skier if we spent more weekends in Fernie! At Fernie though there is an amazing system in place for progression of skills. First, you can start on the magic carpet until you've learned the basics of turning and stopping. From there, you move on to the "Mighty Moose." This is a beginner platter lift and it is twice the length of the magic carpet run. Adults pay only $18.95 + GST to ski on this lift with kids 17 and under free. This lift is an excellent progression from the magic carpet and most beginners would do well spending their day learning to ski here before heading up the chair lift. There is also night skiing on the Mighty Moose Saturday nights from 4-9 pm. Night skiing is free with your day's lift ticket. Otherwise, the same rates as above apply. Once you've mastered the Mighty Moose, the next progression is the Deer Chair or the Elk Quad. Both lifts can be slowed down for beginners to get on, and the attendants are great at helping families load. Between the two lifts, there are 16 runs on the lower mountain, 12 of them green beginner runs. I had always been nervous skiing alone with my son but Fernie was the first place I felt comfortable skiing by myself with him because I knew we were safe on the Deer and Elk Lifts. The runs are all gentle, they are well groomed, and you'll always have somebody nearby to help out. 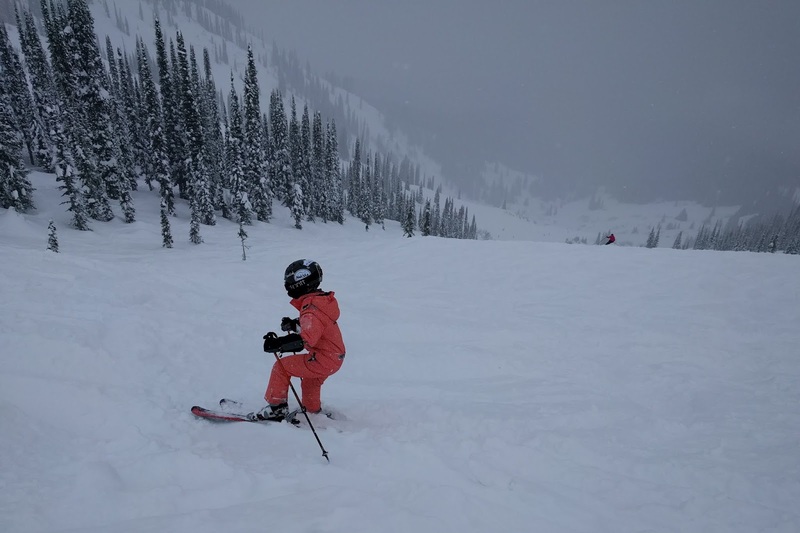 You also don't have to worry that your child is going to take off down the "wrong run" if they get ahead of you and accidentally end up on a black run (something that has happened to us at other hills.) There are no black or advanced runs off of these two lifts. Should you decide to try a blue intermediate run off of Deer or Elk, know that they are a very "soft blue" that would almost be considered green at most resorts. 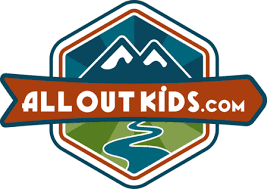 (Just don't get too excited that you can do a blue run off Elk with the kids and think they can now ski down from the summit off of Polar Peak. The blue runs higher up on the mountain are a very "dark blue" and would be considered black runs at many resorts. Once the kids can successfully ski down green and blue runs off Deer and Elk, the next progression is to take the Timber Chair up to the Lost Boys Cafe and to ski down "Falling Star." 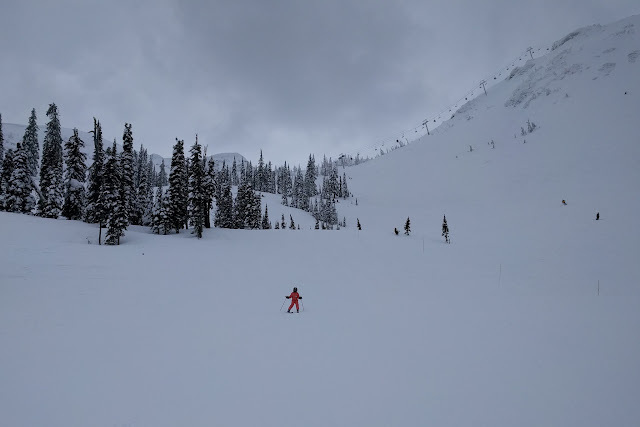 This run is the longest on the mountain (5 km from the top of the White Pass Chair) and is a great introduction to the blue intermediate terrain higher up on the mountain. Falling Star is generally groomed for easy skiing (unless there's been a fresh powder dump the night before) and large sections at the bottom require skate skiing or double polling (so you may be pulling the kids if they slow down to a walk.) - note, it's not a great run on a snowboard! On cold ski days you want options spread out around the mountain so that you don't always have to go back to the base area every time you want to warm up. 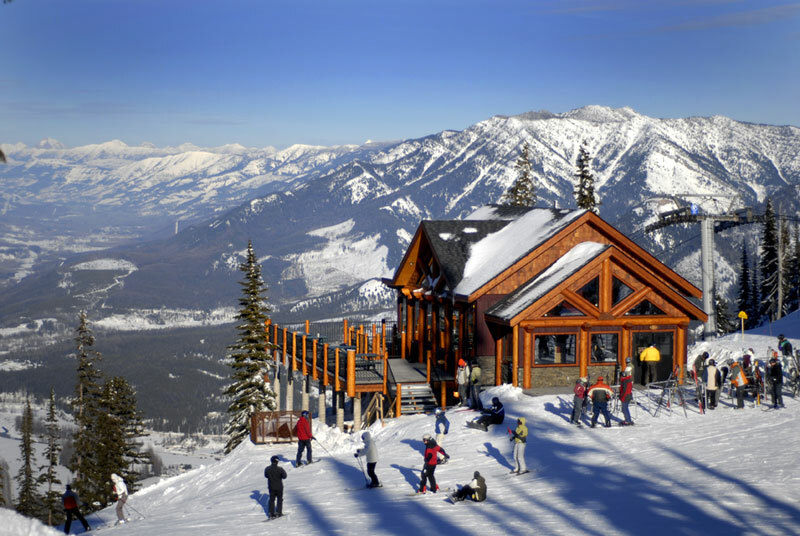 At Fernie, there's the Lost Boys Cafe at the top of the Timber Chair and there's the Bear's Den warming hut and yurt at the top of the Elk Chair. Both have bathrooms and serve food. The Lost Boys Cafe even has Starbucks Coffee. At the bottom of the hill, I personally love the Slopeside Cafe which offers a more upscale experience than the day lodge cafeteria. They serve Starbucks Coffee and you can warm up in front of a fireplace while the kids enjoy a freshly baked muffin or cookie. 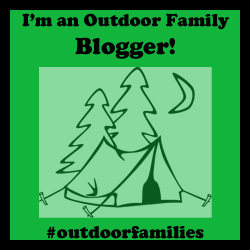 My family often finds it challenging to find a resort where we can all find terrain to suit our individual tastes and abilities. 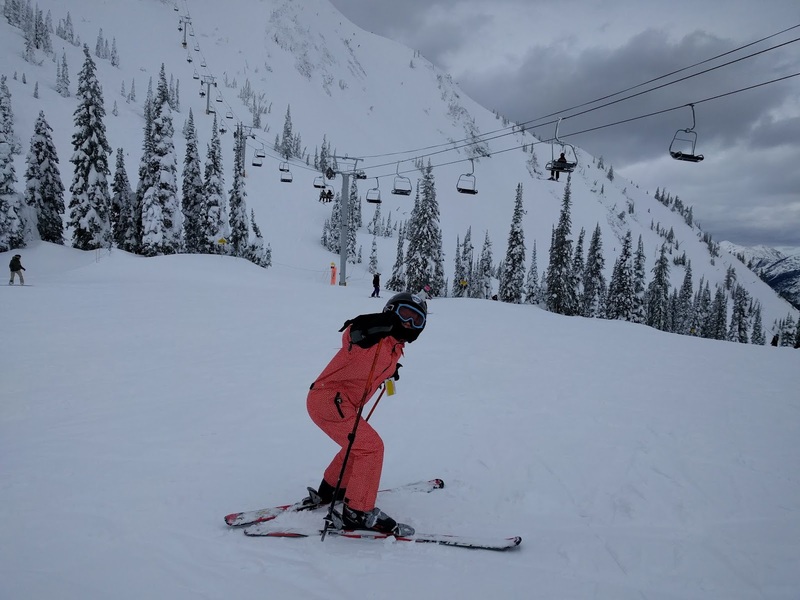 My husband lives for powder, steep pitches, and the double blacks found higher up in the bowls at Fernie. My son loves easy tree skiing. Fortunately at Fernie, there's a special kids' tree run off the Deer Chair with twisty windy paths through the forest kids LOVE. There are also some fun trees to play in along the edges of the main run off the Elk chair. And then me, I love perfect corduroy grooming. Fortunately, "Falling Star", my favourite run, is usually very well groomed and I'll often run laps of it for hours. The lower mountain is also very well groomed, giving me plenty of terrain to explore. Fernie is one of those rare hills that offers something for everybody from deep powder bowls to steep pitches, groomed cruisers, and mellow playful runs. And you can have grooming and powder on the same day!! While I was enjoying the corduroy on Falling Star, my husband was knee deep in fresh powder in the double black pitches in the Cedar Bowl. Later, he took my son to explore Cedar and my son had a great time shredding powder on some nice intermediate terrain. I really despise crowded runs where I'm constantly terrified that somebody's going to run me over. Fortunately at Fernie, there's so much terrain, (142 trails, 5 alpine bowls, and tree skiing) you can often find a run where you're the only person on it. As long as you stay off the popular runs (the main beginner run right under the Elk Chair for example) there's always a more "secret" run that nobody ever seems to be on. Holo Hike is that run for me off the Elk Chair. I skied it twice and never saw another person. I've also been the only person on Falling Star multiple times and it's not easy to get fresh tracks (or fresh corduroy) down it in the morning. There are a lot of awesome ski hills that will never make it to the top of our "favourite list" purely because they have no on-hill lodging. If I have to drive in from the nearest town for the day, I'm just not as interested in planning a ski weekend at a resort. And while that may make me sound spoiled, it's just a reality for my family that we don't all ski for the same length of time. I usually finish earlier in the day while my husband can easily close the hill down at 4:00 pm. My son also tends to wrap things up by 3:00 pm at the latest and then we head to our condo's swimming pool rather than having to hang out in the day lodge. Staying on the hill allows us to customize our experience at the resort and gives us options that suit each member of the family. If I only want to ski one day, I can go fat biking the next, can sign up for a snowshoe tour, or can try out the nordic trails at the hill. We also like to swap on and off with "family skiing" so that each adult in our family gets some solo time to ski at their optimal happy speed. And while my son may be a "good" skier, he's certainly not crushing double blacks yet. When we stay on the hill, one of us can stay out skiing longer while the other heads back to the condo for lunch with our son. Alternately, I usually give my husband time at the end of the day to pound out a few more runs while my son and I head to the swimming pool. Staying on the hill just allows us so many more options to get the most out of our ski day and for each member of the family to enjoy the weekend at their own pace. 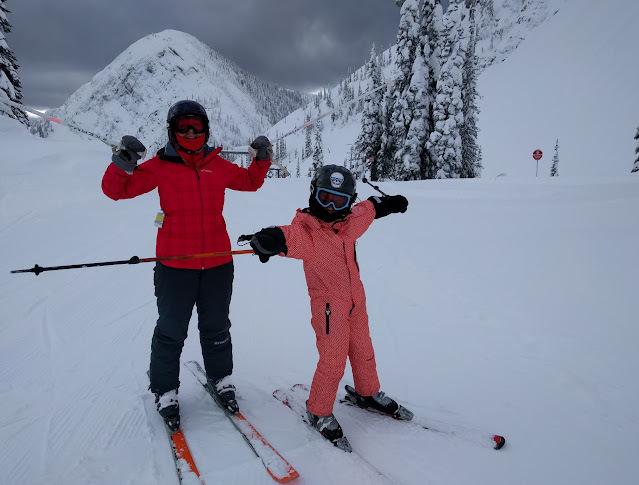 Last year we stayed at the incredible Lizard Creek Lodge at Fernie and you can read about that stay here: Family Guide to Fernie Alpine Resort. This year we tried something different and stayed at the Slopeside Lodge which offers rooms from $69.00 per night. 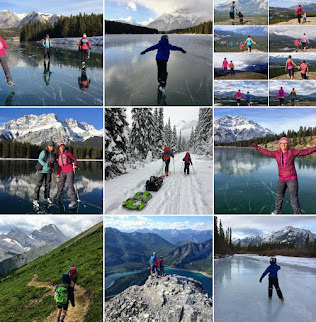 While we received complimentary accommodations here from Resorts of the Canadian Rockies, I still like to provide honest reviews of where we stay. A hotel-style experience with small rooms containing two double beds, a mini-fridge, a microwave, a television, and a bathroom. Luxury this isn't, so if you want a fully stocked condo with a kitchen and separate bedrooms, you'll want to stay at Lizard Creek. If budget travel is more feasible for your family though, Slopeside is the place for you. When it comes down to it, you're here to ski and not to sit around your hotel room. Hopefully you'll be so busy spending time outside, you'll just come back to your room to sleep. Bring earplugs. I'm sure a mid-week stay at Slopeside would be much more quiet, but we were here on a weekend and there were a lot of parties going on in the rooms around us. I also couldn't find anybody working at the front desk later in the evening so it kind of felt like we had been locked inside a frat house with no supervision or staff on site. Bring simple food for breakfast and lunch, and plan to eat out for dinner. We had brought cinnamon buns, croissants, yogourt, and fruit with us for breakfast since we knew we didn't have a kitchen at Slopeside. For lunches we made sandwiches and I also brought some microwave pasta dishes for Saturday. I made sure to bring some plates, forks, and knives with us as well because I knew our room wouldn't have any of that. Space to have your lunch away from the crowded day lodge at the ski hill. The common areas mentioned above work well for a quiet lunch spot mid-day. We brought our lunch here on Sunday to eat before driving home. Two indoor hot tubs on the ground floor level of the lodge. There is no swimming pool though or outdoor hot tubs. For that, you'll want to upgrade to Lizard Creek Lodge. Our overall verdict of Slopeside Lodge: We missed the swimming pool and outdoor hot tubs at Lizard Creek so would probably go back there next time. We also like having a kitchen so we can have a bigger breakfast before skiing. The noise at night was also another downside of staying here. On the bright side though, if staying here meant we could afford a weekend at Fernie, we'd happily stay here again no complaints. In the end, being able to stay on the hill with ski in/out access is what matters most. Upgrade your Accommodations at Slopeside Lodge! Please visit the Slopeside Lodge website for full information. Book your spring ski vacation at Fernie now and get your third night free. 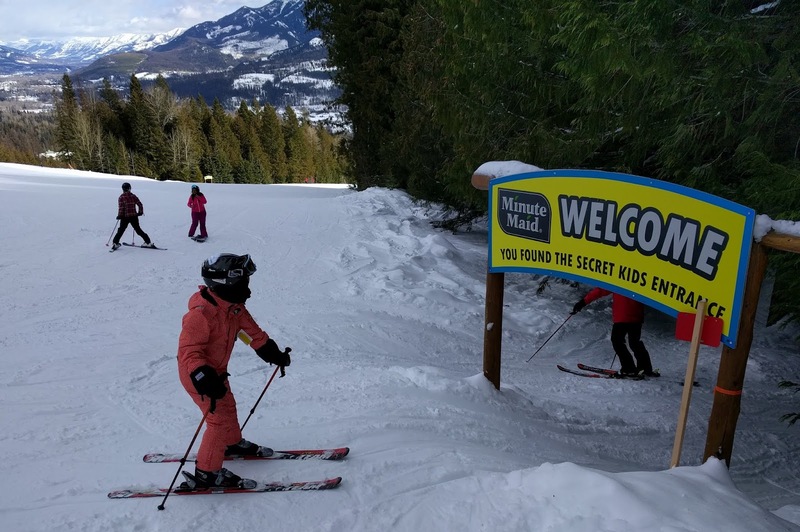 Fernie currently has a 300+cm snow depth, and has had 750+cm of snow so far this season making it an ideal destination for a spring break vacation with the family. 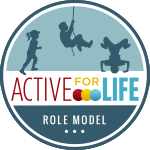 Visit the Fernie Alpine Resort website for full information on the ski hill and other activities to do while here. 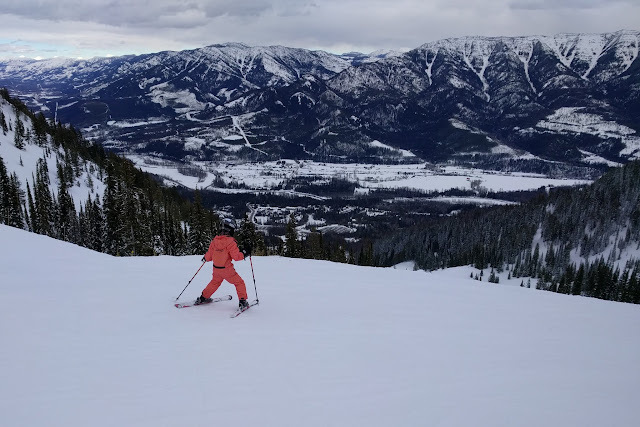 For information on spring festivals at Fernie, check out my Gotta do THIS story for the month of March. Disclaimer: We received free skiing and lodging at Fernie Alpine Resort. As always, all words and opinions are my own.